In this Charlotte HVAC Guide article, we’re going to take a look at the cost to recharge a central air conditioner, why it may have leaked out and how to prevent paying for another central ac recharge within a few days. Since being low on refrigerant is the most common reason an air conditioner blows warm air, you may need to get it fixed or keep going through the same thing! After all, if your gas tank in your car had holes in it, you wouldn’t consider putting more gas in until you knew where the leak was and had it repaired, would you? If you want an idea of different repair costs, visit our HVAC service and repair cost guide. The bottom line is that you are going to pay anywhere from $120-$400 for a typical recharge, more if a in-depth repair is needed. 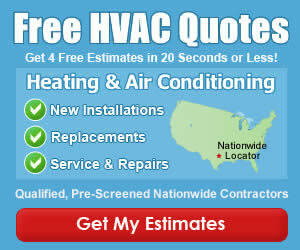 (Get Free Estimates Now) In several cases that we’ve checked, the average service cost for home air conditioner recharge is $250 for a simple and easy repair, and more than $1000 for an extensive repair that requires hours of time just to find the leak, then replacement parts like evaporator coils or linesets. Lets take a quick look at what makes up that fee, and why it may fluctuate. Varies – Parts like evaporator coils can cost $350 or more, then several more hours to replace! Varies – Type of refrigerant you Need, R22, R410, are most commonly found in home air conditioners and heat pumps. In general, if the central ac or heat pump is more than 10 years old, you may want to get a few AC replacement estimates as well. 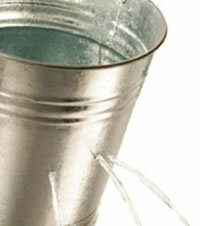 In the longrun, if its leaking now, its probably not going to be as easy of a fix as you think. Why Did The Refrigerant Leak Out to Begin With? Any HVAC Company that’s worth their salt is not just going to pull out the refrigerant jug and start recharging your AC unit for you! In fact, if they do… you may want to stop them and ask them to leave! A home central air conditioner is a sealed system, and if a leak occurs, then something else needs to be fixed first or it’s just going to leak out again! It may take a few hours, a few days, or even a few weeks, but whatever money you spend to recharge the home air conditioner, you will be spending it again in a short time when it has leaked out. The most common cause of air conditioner refrigerant leaks is due to broken solder welds at the copper tubing bends or connections. However, there are many other factors as well. A qualified technician will come with the right tools and try to find the leak before charging the unit. Outdoor Condenser coil may be punctured. Indoor Evaporator coil may be leaking in the coil, or at any of the hundreds of U-bends. Any point in the copper lineset connecting the coil to the condenser may be leaking. Service valves or Schrader valve may be leaking and need to be replaced or repaired. Most contractors will at least require that you pay for them to test the unit and charge it with Nitrogen first, so they can get an idea of how big, or where the leak may be in the system. As we previously mentioned, filling a punctured central air conditioner is nothing but a waste of money (not to mention the environmental impact of adding refrigerant to the atmosphere), since it’s going to need it again very soon! Finding the refrigerant leak is the most important step to take before recharging the home air conditioner! Learn more at the MyHVACParts site. Did You Recently Have a System Recharged? If so, why not head over to the Charlotte HVAC Contractor Reviews page and leave a quick review of the contractor you had perform the work at your home, as well as the cost to recharge your home air conditioner. We were just charged $510 for 6 pounds of refrigerant in our 4 ton r22 system. After getting back inside and finally cooling off for a bit, I was able to get on the internet and find out that the company can buy a whole 30 pound bottle of r22 for $250-$300. I called the company and they told me that it was $90 for the service call, $285 for the first 3 pounds of refrigerant, plus $45 for each additional pound. Lets just hope it doesn’t leak back out. Thank you for sharing the info about your AC recharge cost! Did the company offer to chase down the refrigerant leak for you? Your home AC is a sealed circuit… it should never leak out without a reason. They waived the service call charge… and were cool again for a total bill of $960, which was the cheapest we found. Had a company come out to see why one of two units wouldn’t con on. $49.00 service charge. Turns out bad thermostat. Guy says same one I have is $223.00 or I could get unprogramable one for$165.00 I said no thank you and Paid the service call charge. Then went to lowes and paid $24.00 for thermostat simalar to mine. 800% mark up on thermostat. No word of mouth recommendation for them.